These guys are not particularly fond of each other, but they do make a very appealing pair of salt and pepper shakers. 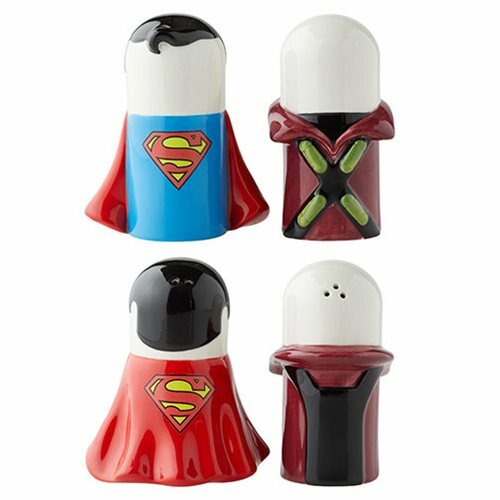 Order the DC Comics Superman vs. Lex Luthor Stylized Salt and Pepper Shaker Set and see how they behave at your house and on your table! They measure about 3 9/10-inches tall and are made of stoneware. Hand wash only. Not dishwasher safe. Do not microwave.